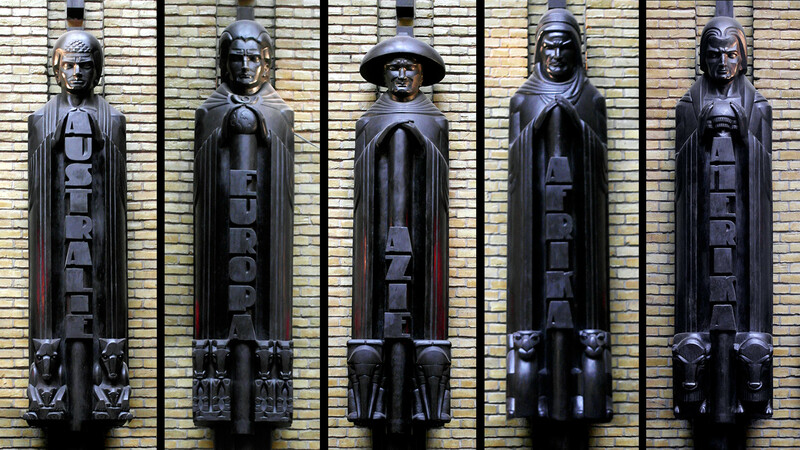 extend a typeface that has been sculpted on statues about 100 years ago. for the generation of the font files. will present it with the font on FOSDEM 2017.
having all the glyphs going all the way up to the top of the bounding box. replacement purposes, fall-back and glyph placeholders. possible/advisable to implement specific spacing for vertical usage? select all objects, convert all objects to paths and merge all paths? This sounds like a fun project. Congrats on the commissioned work! For the spacing/width, I'd recommend following the example of the images and space the letters horizontally like they are spaced vertically. In other words, measure the vertical space between letters (let's call it "sp"), divide by two (so each side bearing gets something), and determine the advance width based on the largest glyph width + sp. Then, I'd optically center each glyph within that allowable horizontal space. I'm afraid I don't have much experience with vertical widths, though. Sorry. I'm not aware of anything that will import a batch of svg files, but if you're willing to work with FontForge's python scripting abilities, I can probably cook up a function that will do the trick. Perhaps you can send me a file or two so I know how the svg files are structured? Once I understand how/where the paths are constructed, I should be able to convert those to FontForge curves in their appropriate glyph code points (provided you have the files named to facilitate that). Awesome! Will the result be licensed under ofl? Sadly making a monospace font is harder than a proportionally spaced one, since the letter forms must be stretched past their natural proportions to fit the fixed space. You can safely draw about 120% of the upm "bounding box"
Put beta or "one" in the family name to show early releases are such and after you think it's nailed only then remove it. You can look at the bungee font sources on github to see about this. But it's a UFO/afdko project, not sfd/Fontforge one. >extend a typeface that has been sculpted on statues about 100 years ago. >for the generation of the font files. >will present it with the font on FOSDEM 2017. >having all the glyphs going all the way up to the top of the bounding box. >replacement purposes, fall-back and glyph placeholders. >possible/advisable to implement specific spacing for vertical usage? >select all objects, convert all objects to paths and merge all paths? It's an Art Deco font, and so I thought it might already exist. >> extend a typeface that has been sculpted on statues about 100 years ago. > It's an Art Deco font, and so I thought it might already exist. > extend a typeface that has been sculpted on statues about 100 years ago. > for the generation of the font files. > will present it with the font on FOSDEM 2017. > replacement purposes, fall-back and glyph placeholders. > created of updated glyphs. > possible/advisable to implement specific spacing for vertical usage? > select all objects, convert all objects to paths and merge all paths? > This sounds like a fun project. Congrats on the commissioned work! > I'd optically center each glyph within that allowable horizontal space. > I'm afraid I don't have much experience with vertical widths, though. Sorry. Hopefully, someone else can give me some pointer on this. > can probably cook up a function that will do the trick. > (provided you have the files named to facilitate that). 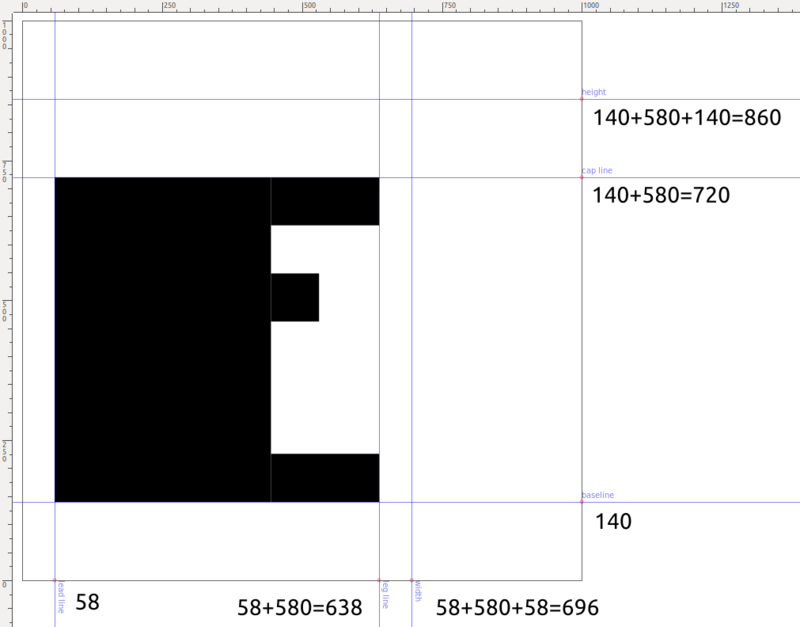 baseline at 200 px and work when importing in FontForge. I will send you some example files, also with non-path objects. >> for the generation of the font files. >> will present it with the font on FOSDEM 2017. >> replacement purposes, fall-back and glyph placeholders. >> created of updated glyphs. >> possible/advisable to implement specific spacing for vertical usage? >> select all objects, convert all objects to paths and merge all paths? >> This sounds like a fun project. Congrats on the commissioned work! >> I'd optically center each glyph within that allowable horizontal space. >> I'm afraid I don't have much experience with vertical widths, though. Sorry. > Hopefully, someone else can give me some pointer on this. >> can probably cook up a function that will do the trick. >> (provided you have the files named to facilitate that). > baseline at 200 px and work when importing in FontForge. > I will send you some example files, also with non-path objects. be cleared (as an option perhaps) before any import is done. 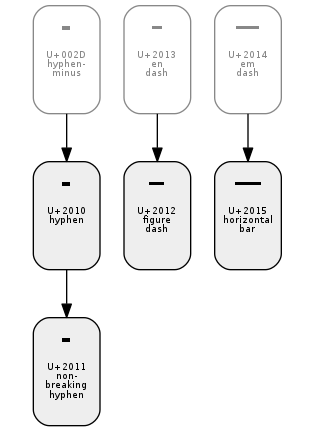 an tab-separated file which holds the Unicode codepoints. > Awesome! Will the result be licensed under ofl? > proportions to fit the fixed space. > You can safely draw about 120% of the upm "bounding box"
> after you think it's nailed only then remove it. pointers on this or for him, please share them. > it's a UFO/afdko project, not sfd/Fontforge one. worst case scenario I will have to run some sed commands on my SVG files. I have provided Abraham with some example files to work with. with FontForge and Inkscape hope to contribute to these projects as well. >> having all the glyphs going all the way up to the top of the bounding box. challenges have solved in there and how my font is doing that differently. only has room for fifty-seven lines of small type. actual coordinates of the shape. Would Class be 2 Derivative or 5 Non-standard Aspect? which would apply to this font?